If you are in dilemma which place to visit this spring or summer, stay with us to see these nice pictures and to decide for a few minutes. 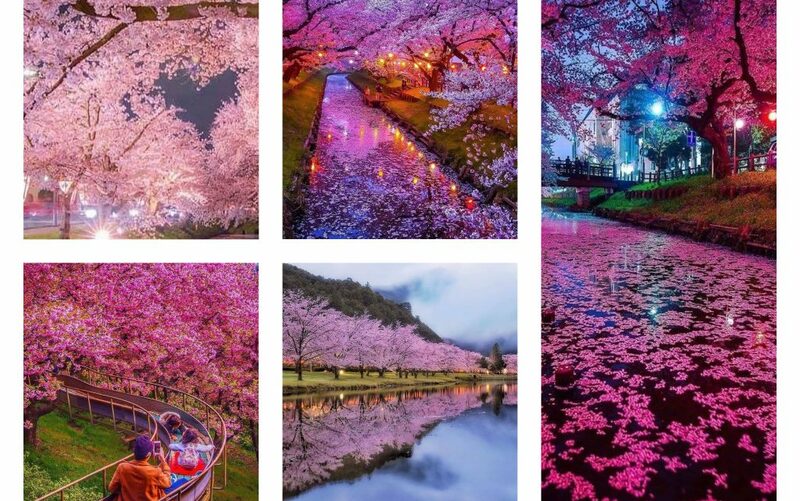 We will show you beautiful cherry blossoms in Japan. 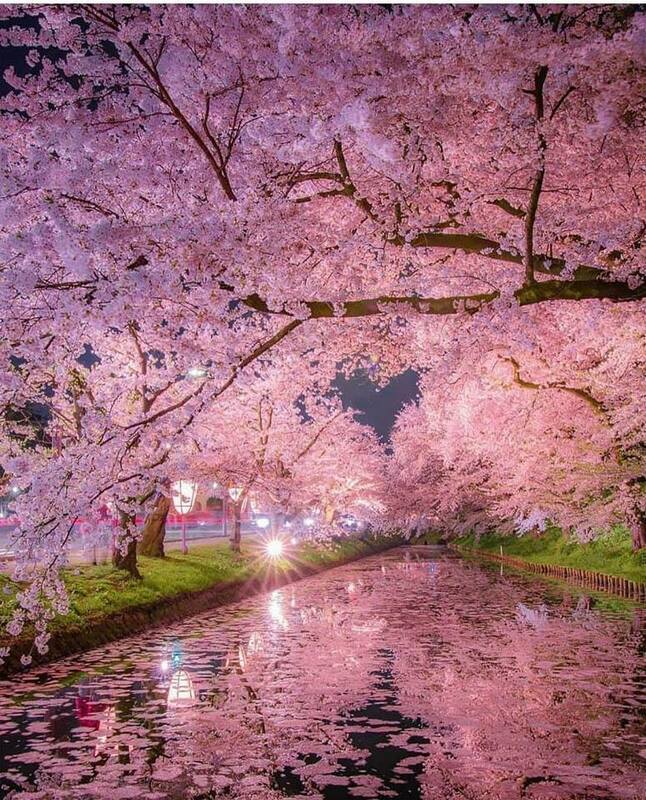 These cherry blossoms will blow your mind, will ruin your heart and will be the destinations from your dreams. The cherry blossoms here in Japan starts on 21 March so it means it has already started the season. 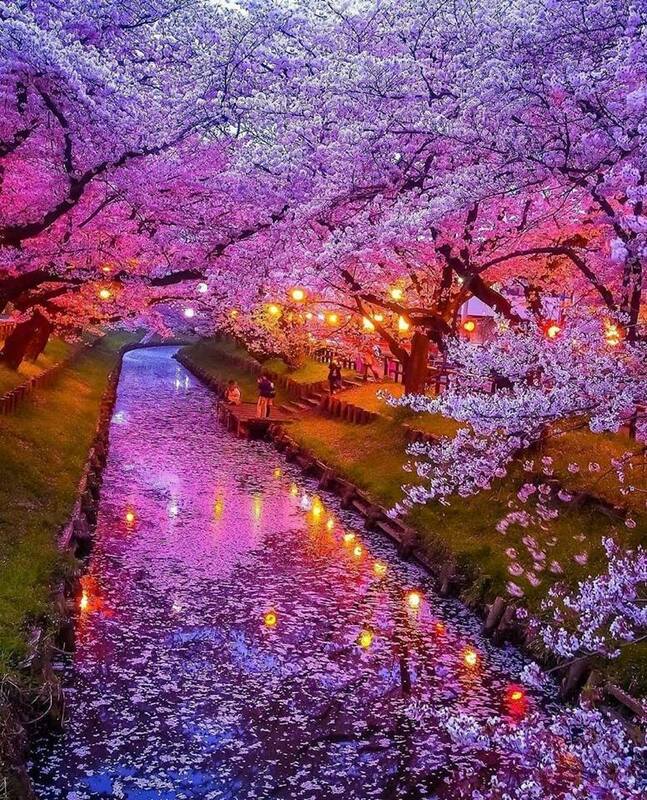 Some of the trees you will see are older than 200 years and this fact will surely make you feel a need to see all the cherry trees we have to show up for you! Enjoy in the photos we prepared for you! Many people will come and visit the place, but not many will get interested about the symbolism of these threes that start blooming this month. These trees signify mindfulness and enjoynment of the present moment. Watch out! 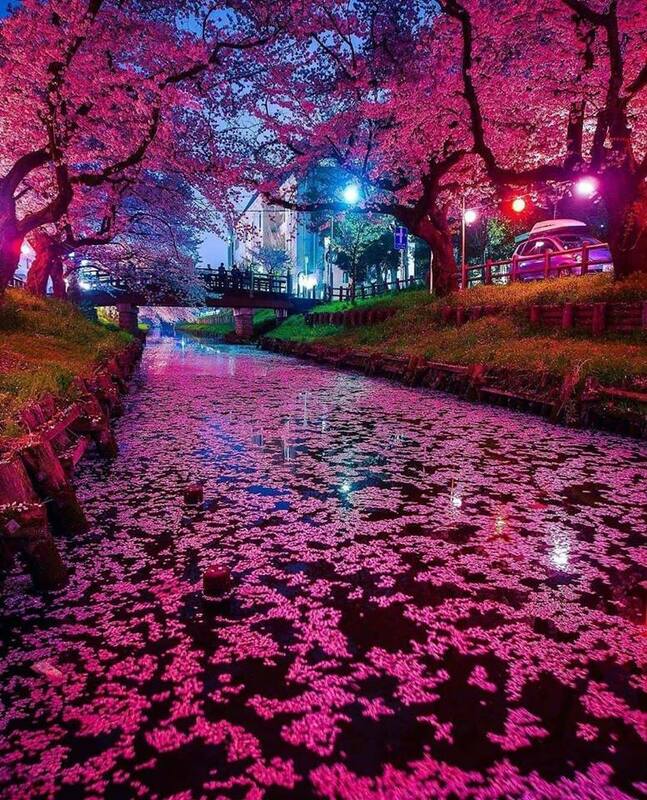 This is not a road but a river filled with red buds!!! What an amazing place for staying in with your family! Over the next month May, the cherry blossom blooms will move northward through Japan. Where to find these trees? 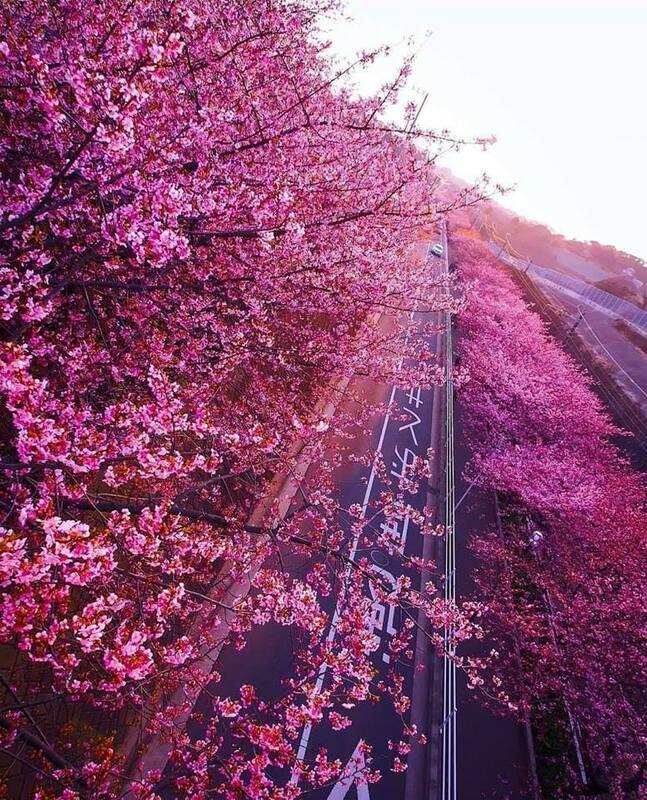 The cherry blossoms are predicted to reach Sapporo, in the very north of the country, by early May. If you want to go to this city, wait till the next month! 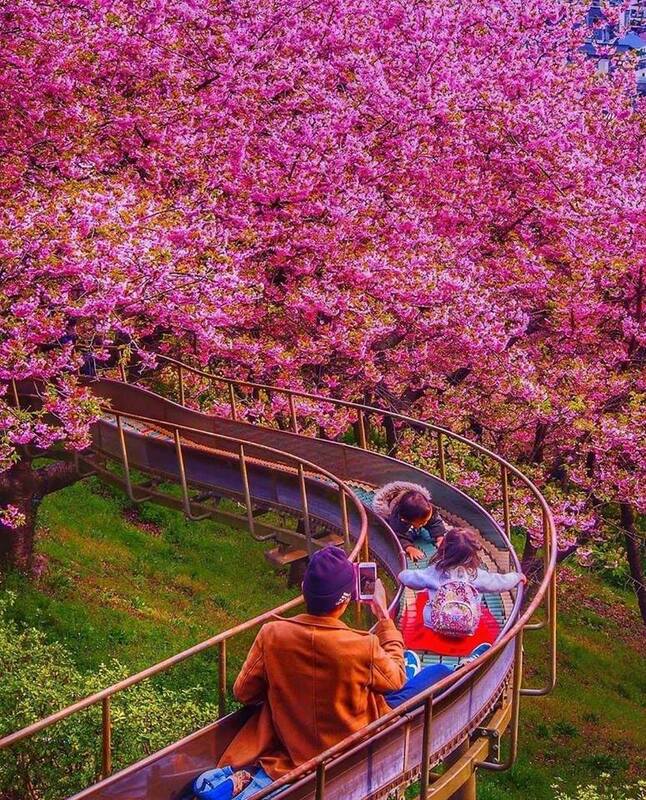 Perfect trip with family, go in Japan! Bring this family on this road and take a shot here in this place. The kids will surely love the smell of the tree and you will be the happiest person parent in the world. See this nice combination of trees and water which is perfect for couples and people who want to enjoy in life. Perfect place for engament, getting married and purposing. 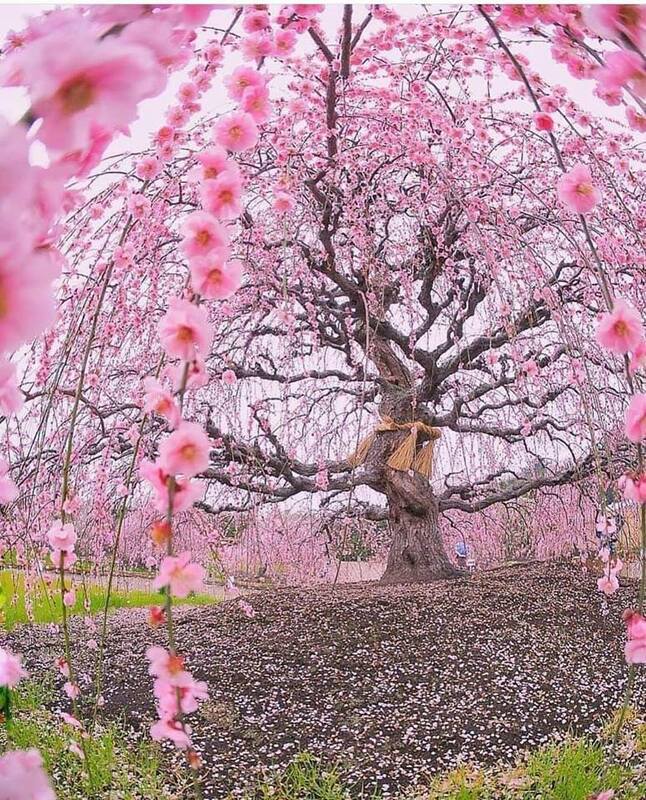 200 year old cherry tree where if not in Japan? It’s great to come here below this tree and to take a picture here while enjoying in the smell of the tree and seeing this pink beauty! How great it would be to drive on a pathway like this! Imagine the feeling when you drive the vehicle and you have a special view from the both sides on the road! 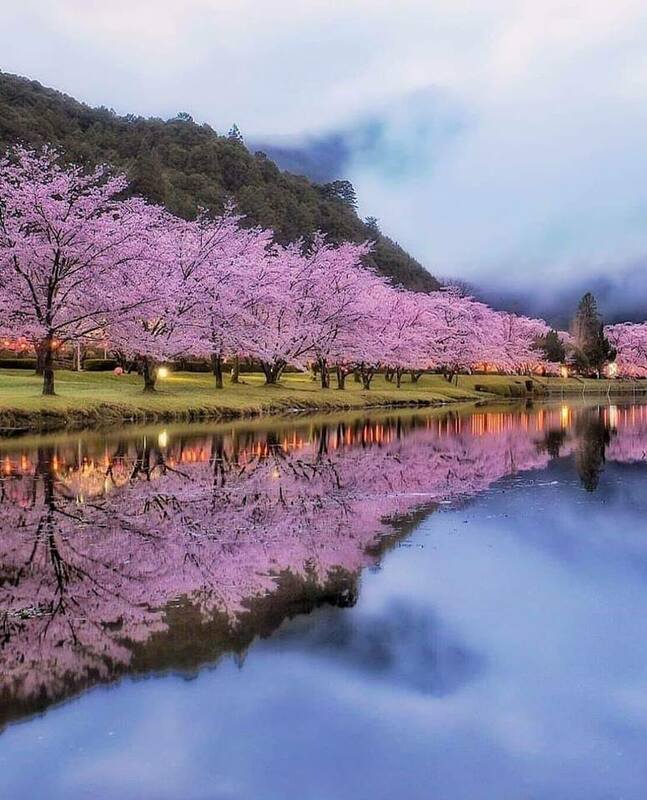 you have to see such a lovely trees around and the driving will looking so easily for you, you will wish to drive here with hours and to come back again on the same place! just take a look! Also, Check Out These Amazing Garden Landscaping Ideas, this is the post that we shared recently on our page with an aim to motivate you for sure. Thanks for your attention it’s enough of reading, now go and drink your coffee and enjoy in great company.